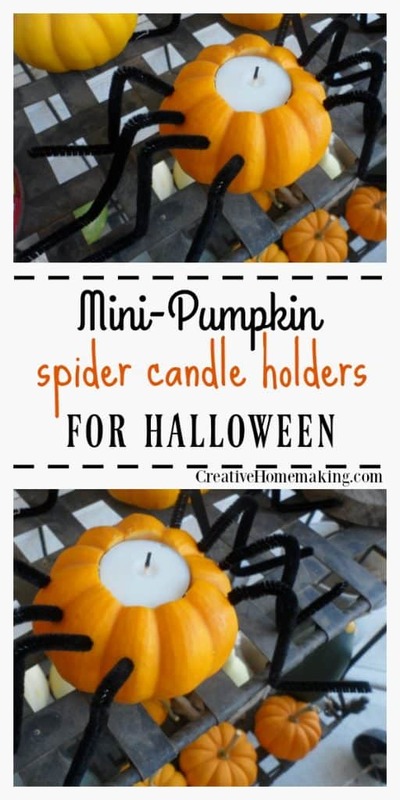 October 2, 2012 0 comments on "Mini-Pumpkin Spider Candle Holders"
It’s time to get out the Halloween decorations! 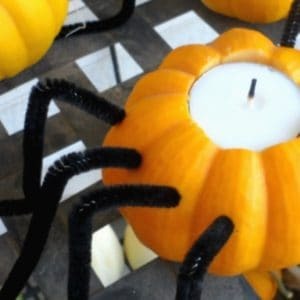 These mini-pumpkin spider candle holders are really fun and easy to make. All you need are some mini pumpkins and some black pipe cleaners. I saw this idea several months ago and have been very excited to try it out. The project was as easy as it looked. The candle holders maybe took a half hour to make. To make the round hole in the top of the pumpkin you will need a drill with a 1-inch drill bit. This is the width of the average tea light candle. Use the drill to cut a shallow round hole in the top of each mini pumpkin. The top of the tea light candle should be flush with the top of the pumpkin. Next use a very small drill bit to drill four tiny holes on each side of the top of the pumpkin. This is where the spider’s legs will be. You will need four black pipe cleaners for the legs. Cut each pipe cleaner in half and bend and twist each piece into the shape of the letter “z”, to resemble a spider’s leg. 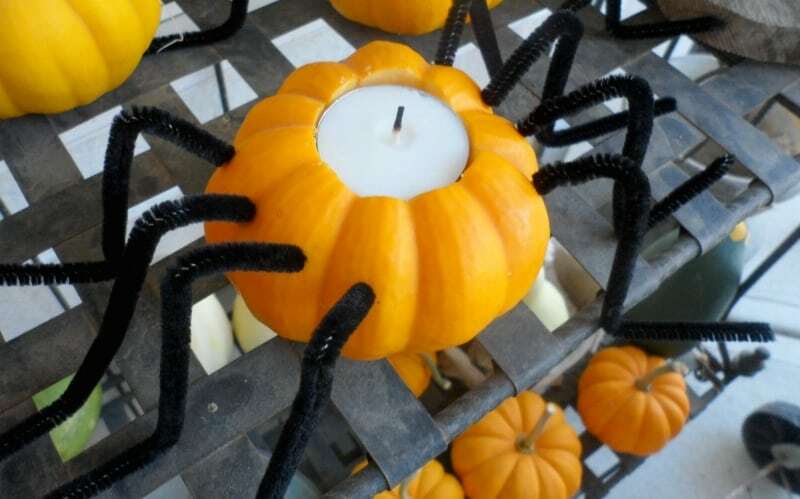 Place each pipe cleaner into one of the holes you just drilled in the pumpkin. Arrange the pipe cleaners so that they look like spider legs. That’s it! These cute candle holders would look cute on your dinner table or on a patio table. Like this idea? You might also like this easy DIY smoking pumpkin for Halloween.